Mayur Gupta is the CMO of Freshly, the prepared-meal services company. Formerly Global Vice President for Growth & Marketing at Spotify. Mayur also sits on the Board Of Directors for DentaQuest and D'Addario guiding the C-Suite in their respective digital transformation and growth journeys. Prior to Spotify, he lead Marketing, OmniChannel Solutions business and Digital Capabilities at Healthgrades. 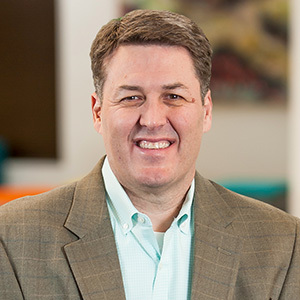 He successfully drove the digital transformation of the company while being responsible for the vision, strategy and activation of one of the largest digital marketplace platforms in healthcare; delivering seamless OmniChannel Experiences and always-on patient engagement that drive better health outcomes and maximizes lifetime value for hospitals. He was the first ever Chief Marketing Technologist at Kimberly Clark, responsible for the vision, strategy and development of all digital & eCommerce capabilities across KC's global iconic brands. He was a catalyst in the company's digital transformation and established a global marketing technology & digital capability organization that delivered Omni-Channel Seamless Experiences across Media, Content, Data, Analytics and eCommerce. 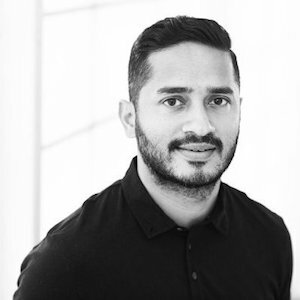 In 2014, Mayur was recognized as one of the "40 under 40" leading marketers in the industry by BrandInnovators and also received the CMO Programmatic Award by the CMOClub. Harvard Business Review (HBR) and the Economist profiled him as the model Chief Marketing Technologist in 2014. 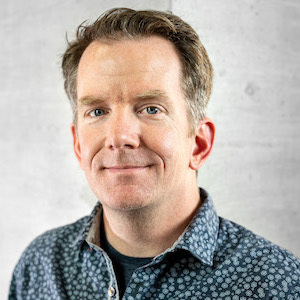 Jeff Eckman is the Founder and CEO of Blue Green Brands, an agile marketing technology company that delivers exponential growth in returns on marketing investments to medium and large enterprises. 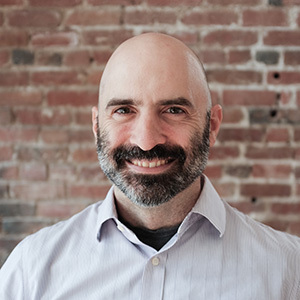 With over 20 years' experience in digital, design, and agile teams, Jeff has a passion for applying simplicity to complex problems, and creating relationships between people and technology that generate novel value. 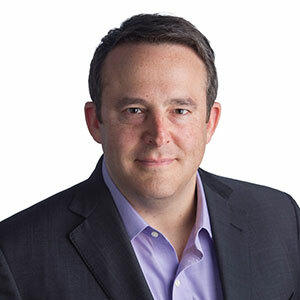 Jeff leads cross-functional teams supporting the diverse and ever-expanding needs and responsibilities of marketing organizations—from strategy to creative to technology. Beneficiaries of Blue Green's work include national and global brands such as NBC Universal, California Closets, athenahealth, and PayPal. Jeff earned his BS in Operations Technology at Northeastern University, and holds an MBA from the MIT Sloan School of Management. Jeff lives in Belmont, Massachusetts with his wife and two children, and can be heard anytime on iTunes or Spotify as the drummer for Boston's original reggae band, Pressure Cooker. 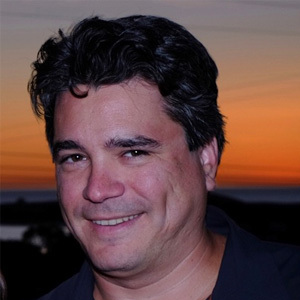 Brian is the Chief Marketing Officer at Fuze, the leading cloud-based communications platform for the enterprise. His marketing team at Fuze won the 2017 Sirius Decisions ROI Award for Demand Creation. 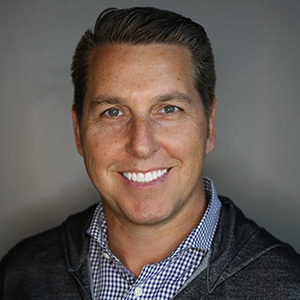 Prior to Fuze, Brian was CMO at Eloqua where he was part of the team that led Eloqua’s explosive growth and leadership in the marketing automation sector, resulting in a successful IPO and subsequent purchase by Oracle. 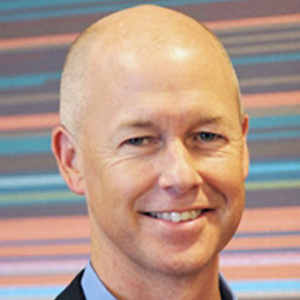 Before Eloqua, Brian was Chief Strategy and Marketing Officer at Forrester Research (NASDAQ: FORR), where he helped turn the brand into a leader in the technology research sector. He also served as CMO at Reed Business Information (NYSE: RELX), the largest B2B publisher in the world. In 2017, Brian was named to several new lists: “50 Most Influential CMOs on Social Media” (Forbes), “100 Most Influential Chief Marketing Officers in the World” (Richtopia) and the “30 Tech Marketing Leaders Changing The Industry” (Synthesio). 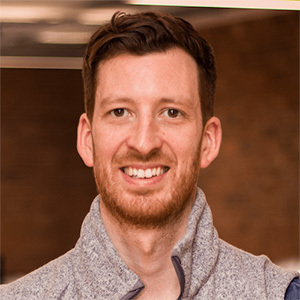 As Director, Marketing Operations at LogMeIn, Justin is responsible for all of the marketing systems and tools globally, as well as advanced marketing analytics. He is technical, but not a developer. He is analytical, but not a data scientist. In his role, he brainstorms solutions, solves problems, and tries to make other people's jobs easier. 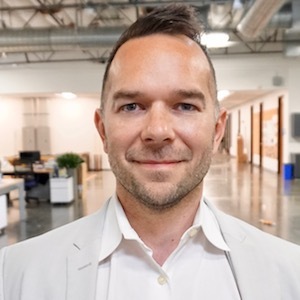 Since joining LogMeIn in 2012, Justin has been instrumental in building up the marketing automation teams and has strengthened the relationship between marketing and sales by tightening the integration between marketing automation and CRM. Prior to LogMeIn, Justin was Manager of External Marketing at Vistaprint and Sr. Manager of Marketing Strategy at Synapse Group Inc, a subsidiary of Time Inc. He holds a BA from Amherst College and lives outside of Boston, MA with his wife and 1 year old son. Tom Fishburne started drawing cartoons on the backs of business cases as a student at Harvard Business School. Tom’s cartoons have grown by word of mouth to reach over 100,000 marketers every week. He is the founder of Marketoonist, a content marketing agency focused on the unique medium of cartoons. He draws literally and figuratively from 20 years in the marketing trenches in the US and Europe, including roles at Method, HotelTonight, General Mills, and Nestle. Siara Nazir is the head of digital marketing for the Media & Entertainment Industry of products at Autodesk, managing the budget for a third of the company's revenues. She has unique experience in that in her career she's personally managed every offline and digital marketing channel and her strategies have been featured in DM News, Forrester and other industry publications. At Autodesk she's focusing on pioneering a digital marketing center of excellence with agile marketing at its core. 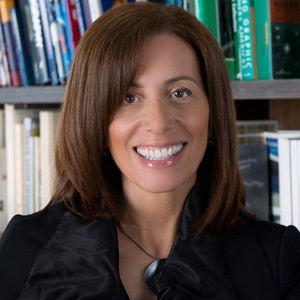 Pamela Della Motta built her career in Marketing specifically in the area of Marketing Operations. She joined The New York Times in 2013 as a manager in Marketing Operations which presented to her the unique position to learn all about the technology ecosystem that supported marketing campaign execution, it's complexities and opportunities to modernize. Also in this role she took the initiative to intimately understand the critical part big data plays in the everyday operations of marketing. At a time when new marketing technology was being aggressively invested, Pamela identified an opportunity to rationalize the marketing technology stack by surfacing gaps and redundancies within the stack and shining a spotlight in the technology and data silos that existed. 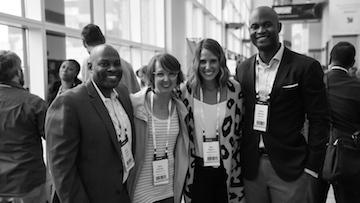 She transitioned to a product management role within the Technology organization earlier this year where she manages a team of product managers focused on overseeing a MarTech product portfolio consisting of marketing tools like marketing automation, CDP's, web content management systems, microservices for marketing data and A/B testing platforms. It is in this role that she discovered her team was in an unique position to bridge the cultural divide between the marketing and technology organizations and is working with colleagues in both marketing and technology towards enabling these two organizations to work even better together. 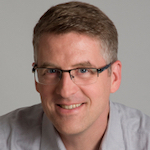 Kristian Kristensen is the VP of Engineering, Ecommerce for the New York Times. His group builds and runs the systems powering the Times subscription business. This includes quote to cash systems, manage your account, signup/login, call center, MarTech, and more. During his tenure the Times have added more than 1.5 million new digital subscribers. Prior to the Times, Kristian ran engineering at GameChanger, an amateur sports scorekeeping startup in New York City. GameChanger exited to Dicks Sporting Goods in November of 2016. Before GameChanger, Kristian was VP of Engineering at Alphaworks, an equity crowdfunding startup. Previously he was head of platform and backend engineering at Venmo/Braintree. Venmo/Braintree was acquired by Paypal in 2015. Kristian started his career at Microsoft in their Consulting division where he consulted with the largest Telco in Denmark improving their Call Centers using software. Kristian holds an M.Sc. in Software Engineering from Aalborg University in his native Denmark. 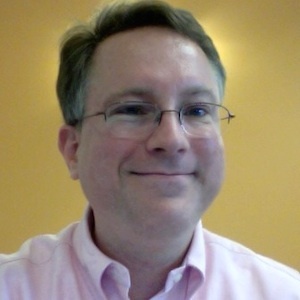 He's a Certified Agile Leader (CSM), Certified ScrumMaster (CSM), and a Certified Scrum Product Owner (CSPO). He lives in New York City. Debbie Qaqish is The Queen of Revenue Marketing, a term she coined in 2011. As Principal Partner and Chief Strategy Officer of The Pedowitz Group, Debbie manages global client relationships and leads the firm's thought leadership initiatives. She has been helping B2B companies drive revenue growth for over 35 years. Debbie is well-known author and speaker on topics related to marketing operations, marketing leadership and revenue marketing. She has over 50 articles in the last 2 years in publications such as MarTech Today, AMA, MarTech Advisors, B2B Magazine, DemandGen Report and MarTech Series. She is also the author of the award-winning book "Rise of the Revenue Marketer: An Executive Playbook". Her next book "Rise of the Strategic Marketing Operations Function" - will be out in early 2019. 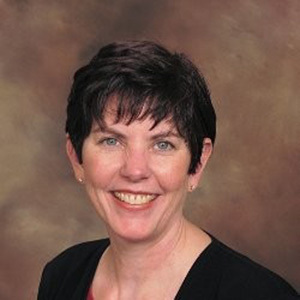 A PhD candidate, Debbie also teaches in the MBA program at College of William & Mary and for Kennesaw State University on topics including business innovation, marketing operations and revenue marketing. In March 2016, Kapost named Debbie among the Top 40 Most Inspiring Women in Marketing. For the last five years, Debbie has been named One of the 50 Most Influential People in Sales Lead Management. She has also won SLMA's Top 20 Women to Watch distinction for four consecutive years. 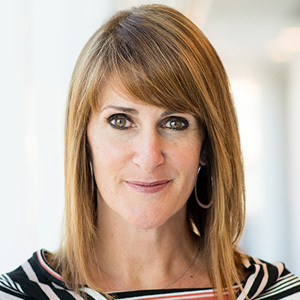 In 2014 FierceCMO Magazine named Debbie one of the Top 10 Women CMOs to Watch. 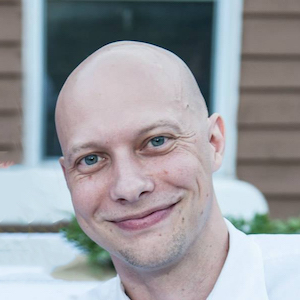 Aaron Wroblewski is AI Engineering Lead for the Consumer Analytics team at Zillow Group, where he supports his team in building AI marketing automation. 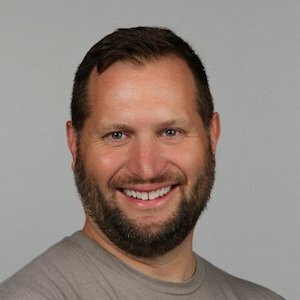 A product manager and engineer with 10+ years’ experience at Zillow, Amazon, and Microsoft, Aaron is passionate about helping engineers, scientists, and business stakeholders work together to understand and personalize every step of customer journeys and leverage this knowledge to create products and relationships that make customers happy. When Aaron is not teaching machines to help you find your way home, he’s likely meal-prepping, baking bread, experimenting with fermentation, or out for a run. 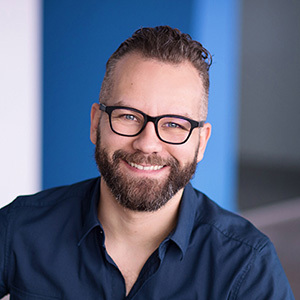 A serial entrepreneur with more than 20 years of digital marketing experience, Alexandre is CEO and cofounder of Perkuto, a marketing consulting firm. Perkuto helps marketing leaders who feel frustrated with not having a bigger impact on revenue. As a Marketo Platinum Partner, Perkuto’s team of experienced consultants create impactful strategies, optimize marketing operations, simplify MarTech and execute on day-to-day campaigns. 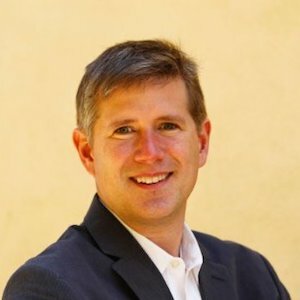 A digital marketing thought leader, Alex often speaks at industry conferences including Marketing Nation Summit, Search Marketing Expo and others. When he’s not helping clients impact revenue, Alex can be found riding his mountain bike, enjoying other outdoor activities and spending time with his four beautiful children. As Docker CIO, Chris is responsible for the strategic direction and execution of Corporate Information Technology and Security. His approach is simple, provide a positive employee experience, implement scalable systems integration through automation, improve business operations efficiency and customer advocacy through a modern, collaborative IT portfolio leveraging leading-edge SaaS business solutions. Prior to Docker, Chris held the SVP of IT role at SAP-Concur managing a global IT organization through the eventual SAP acquisition. 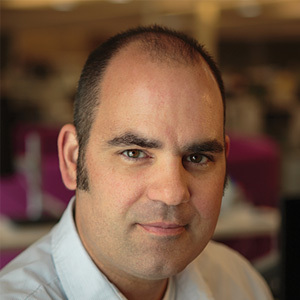 His journey at Concur included several roles within the R&D Engineering group. Chris’ technology career began in the Canadian Navy in Electronic Acoustics Engineering and included time at Microsoft Corp.
A seasoned marketing and sales professional with extensive customer relationship management expertise, Cyndi is the CRM & Marketing Automation Manager at Sub-Zero Group, Inc.. Prior to joining Sub-Zero, Cyndi worked as an Organizational Development Director where she was responsible for marketing strategy and implementation for bank and credit union clients. When Cyndi isn’t helping Sub-Zero optimize its marketing and sales activities, you can find her in her kitchen decorating over-the-top cakes or at her dining room table playing board games with her son and husband. 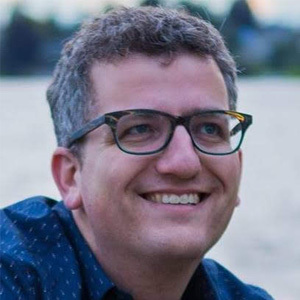 Jason Mestrits is Senior Manager, Data Science & Analytics at Nordstrom where he is responsible for developing the company’s marketing analytics roadmap. Jason focuses on improving marketer efficiency and insights by aligning analytics, technology, process and execution. Currently Jason is focusing on brand marketing and paid media analytics, as well as deploying Nordstrom’s internally developed multi-touch attribution platform. Jennifer has nearly a decade of experience working in the digital marketing industry. Currently at LinkedIn, Jennifer leads the Americas Insights team for Marketing Solutions. 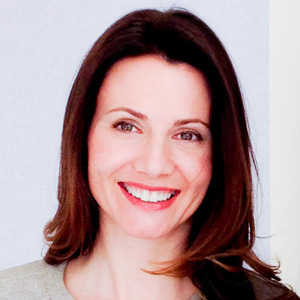 Prior to this, she led the same team for the EMEA region at LinkedIn UK. She drives her team to deliver valuable customer insights from LinkedIn’s unique first party data and to leverage third-party and research resources. Jennifer regularly engages with LinkedIn customers and frequently represents LinkedIn at industry events. She has also been published and interviewed in several high-end industry publications. Jennifer previously worked at Google, using data to support the advertising strategies of some of the largest retail brands in the UK. Before entering the marketing industry, Jennifer completed a PhD in Political Science from Trinity College Dublin. 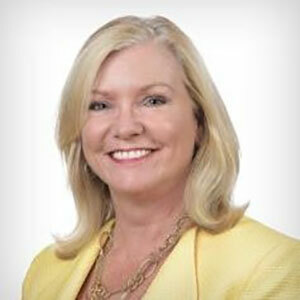 Kathleen Schaub is IDC's Vice President, CMO Advisory and Customer Experience practices. 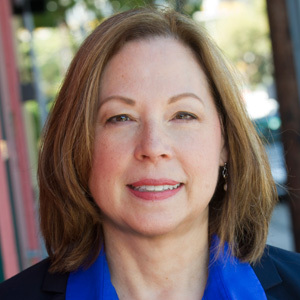 Kathleen helps companies achieve their business goals through better connection with empowered customers and applying marketing science to the transforming marketing function. Leveraging 30+ years as a marketing executive, Kathleen advises senior leaders on marketing operations, the digital transformation of marketing, and customer decision-dynamics. 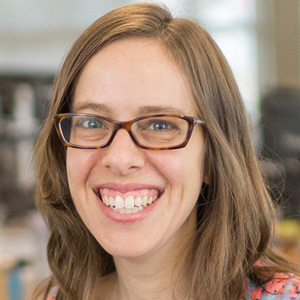 Kelly Jo Horton is currently a Senior Engineer of Marketing Technologies at Docker, Inc. She is a 2x Marketo Champion, a former Marketo Principal Consultant, and the former Global Demand Center Manager for Tektronix. Kelly has a deep digital marketing background that includes designing and building interactive digital experiences and social media campaigns for music labels, bands, B2C brands and movies such as Hunger Games and Taken 2. She was the Lead Technical Operations Engineer on the Ensequence team that won a Primetime Engineering Emmy in 2010 for "Outstanding Achievement in Engineering Development," for their work on an interactive television app for live Showtime boxing events. She is an active voting member of SAG/AFTRA, and an active voting member of the Television Academy of Arts & Sciences in the Interactive Media Peer group. Kelly is a newly-minted empty nester and resides in Bend, Oregon. 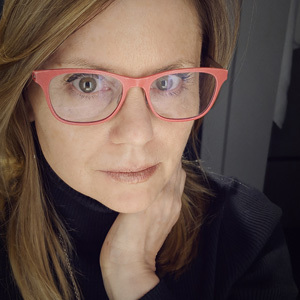 Meg Goldthwaite is the Chief Marketing Officer for NPR, where she brings her experience in branding, visual storytelling, and digital communications to engage new audiences and build greater awareness of NPR programming across all platforms. Her portfolio of mission-focused work includes leadership positions at Conservation International, Women for Women International, Clinton Bush Haiti Fund, and World Wildlife Fund, where she brought Earth Hour—WWF's signature climate change initiative—to the U.S. Her corporate background includes 15 years in the telecom industry, where she led teams in marketing, operations, and strategic partnerships. Michael is a Sr Product Manager on the Experimentation Platform at Netflix, where he enables learning at scale throughout the organization via rigorous testing. Prior to this role, he worked on Netflix's homegrown advertising technology solutions. He enjoys working with multidisciplinary teams to solve challenging problems that can propel the business forward. Michael was born and raised in the Bay Area and likes to swim, bike, and run in his free time. 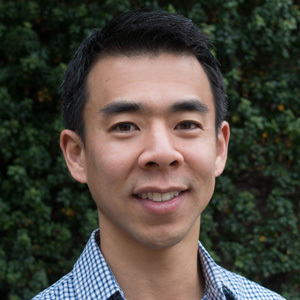 He holds a BS in Electrical Engineering and Computer Science from UC Berkeley and an MBA from NYU Stern. Patty Spiller is the Head of Growth Marketing at Livongo, with responsibility for user acquisition and retention. Prior to joining Livongo, Patty held various marketing leadership positions, where she was responsible for launching several new innovative products to market in the healthcare and tech space. Patty’s greatest strengths are her creativity, drive and leadership. She thrives on challenges that have a real impact in people’s lives. Patty holds a telecommunications engineering degree from ORT University, Uruguay and an MBA from Stanford Graduate School of Business. 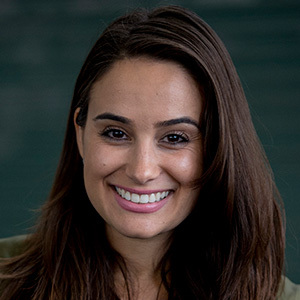 Rachel Beck is Global Marketing Ops Manager at Cisco Meraki, provider of cloud-managed IT solutions. Before signing on to lead the best Marketing Ops team the company has ever seen, she was was Global Demand Generation manager at Meraki. Sheryl Schultz is the cofounder and COO of CabinetM, an enterprise platform that marketing operations teams use to manage the technology they have and find the technology they need. Sheryl is responsible for managing the company’s sales, customer success, and operations programs. 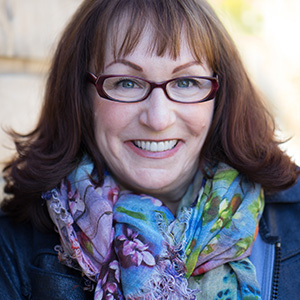 A career technology startup marketer, Sheryl has spent several decades working with young companies as a marketer, board director/advisor, mentor, and investor shaping the way they go-to-market in new technology spaces. Prior to CabinetM, Sheryl was an active participant in the Boston angel community as a member of Golden Seeds, a network of angels that provides early stage and growth capital to women led businesses which she co-led from 2009-2011, and Launchpad Venture Group, an angel group providing early stage capital for transformative technologies. She spent over 20 years as President of SRS Associates, providing communications and market strategy consulting to telecommunications startups. In that capacity, Sheryl launched dozens of companies, 20 of whom engaged her from inception through successful exit by IPO or acquisition. 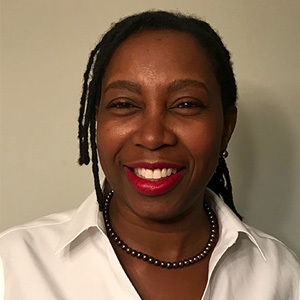 Sheryl is a Board Director at The Capital Network, a non-profit organization that supports entrepreneurs navigating the funding process, and a regular speaker on issues related to fundraising, startup marketing, and female entrepreneurship. Subbu Iyer is Chief Marketing Officer and Senior Vice President at Riverbed. Iyer’s responsibilities span corporate marketing and communications, web/digital marketing, strategic and solutions marketing, channel marketing, demand generation and campaigns, and global field marketing. 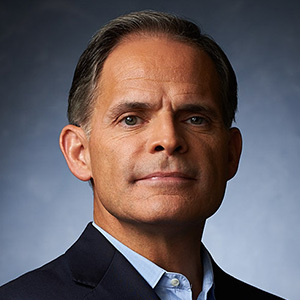 He joins Riverbed from EMC, where he was Senior Vice President of Global Product Marketing and focused on storage, converged infrastructure, big data and hybrid cloud solutions. 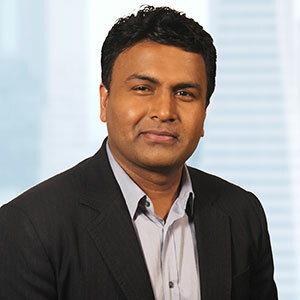 Previously, Iyer spent five years at HP Software in a variety of roles, including as a leader in HP’s Application Lifecycle Management (ALM) Business where he oversaw products, go-to-market and operations for a $1B software business. 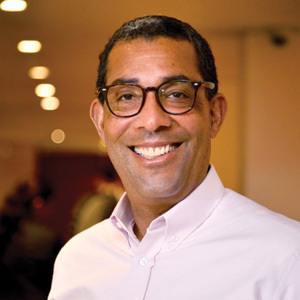 Before HP, he was CMO at OpenClovis (open source high availability and system management), and also held management positions at Oracle, VERITAS Software, and several startups in the software industry. Tricia DelGaudio is Strategy Director at Epsilon. Her key responsibility is to inject innovative thinking though strategy into the agency's marketing work across its largest accounts. She leads strategic planning on Google and has oversaw product launches and ongoing CRM programs for Google Home hardware since its debut in 2017. Over the last 15 years, Tricia has worked client side in marketing & communications at Merrill Lynch and Deutsche Bank, and worked in various strategic roles in agencies across branding, advertising and trend forecasting, with client experience spanning technology, finance, consumer healthcare, real estate, management consulting, hospitality, and CPG. Tricia received her master’s degree in Brand Strategy from The School of Visual Arts in New York, where she later taught The Business of Brand Strategy before relocating to San Francisco. She continues her commitment as a bi-costal contributor to JustFood.org – a grass roots non-profit focusing on food justice, sustainable agriculture, and community-driven solutions to end the inequities in our food system. 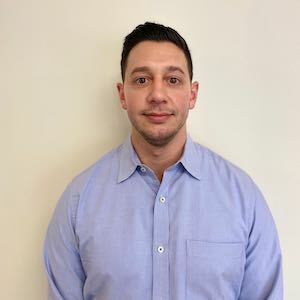 Zack Alves is Senior Manager, Marketing Technology & Operations at Plantronics where he oversees the company’s martech roadmap and management processes. Zack focuses on improving marketer efficiency and results by aligning technology, processes, and resources. Currently Zack is focused on analyzing and integrating martech stacks as a result of Plantronics’ recent acquisition of Polycom. 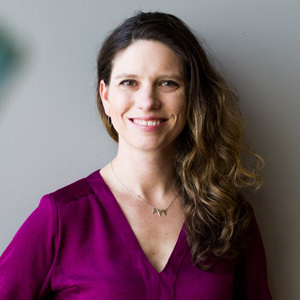 Alana Hill, Manager of Marketing Applications IT at Zendesk, has over a decade of experience specializing in marketing technology, campaign strategy, data analytics, and CRM development. She has worked in a variety of industries in tech, from oil and gas to deploying IT infrastructure and SaaS applications for the largest private museum development in America. Alana currently leads a team of IT marketing technology analysts to fill gaps, increase efficiency in architecture and maximize value with new and existing functionality. She has brought her marketing know-how and technical expertise to projects on a regional and global scale. While not working she is pursuing her hobbies in travel and aviation. 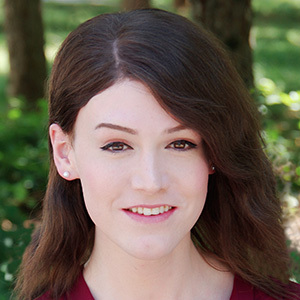 Alana holds Bachelor’s and Master's degrees in Information Systems Technology from George Washington University. 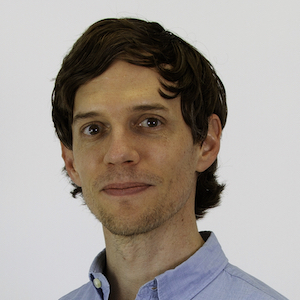 Adam Kirby is the Director of Marketing at Mediacurrent where he oversees the creation and implementation of Mediacurrent's go to market strategy. 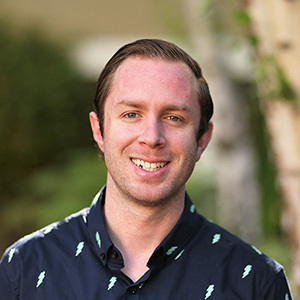 Adam is a hands-on leader that uses account-based marketing strategies to acquire and retain customers for Mediacurrent. 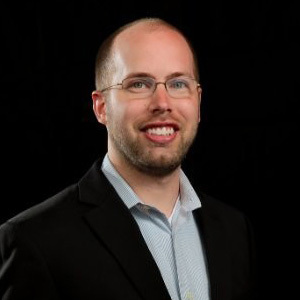 Prior to his current role, Adam spent 12 years at CareerBuilder in Sales Productivity, Business Development, and Marketing Operations. 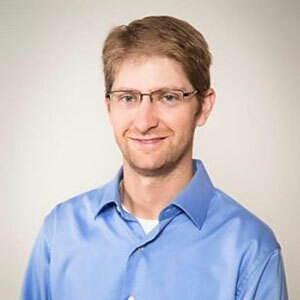 Adam is extremely passionate about leveraging marketing strategy and technology to create value-added experiences, improve products, and grow a company’s brand. Stephanie Feldman leads integrated marketing for PwC's digital organization, driving business and brand vision through marketing technology by unifying a strong team of marketers, editors, designers, PR & social strategists, events leaders, and analyst relations experts to differentiate the firm through bold perspectives. 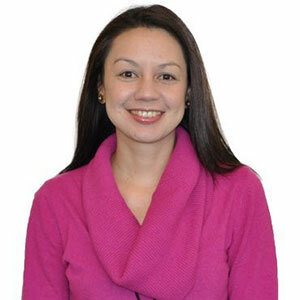 Previously, Stephanie was the Director of Business Development at Mirum (WPP), a global digital agency. She was responsible for growth-driving business transformation strategy and delivery for global organizations-unifying a company's vision with customer needs by assessing infrastructure to deliver operationally sound results. 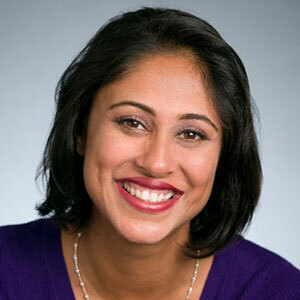 Brought on to build Mirum's (previously Digitaria) first social media practice, she led sales and delivery to drive B2B and B2C strategy for social programs across global entertainment, gaming, finance, healthcare, sports, technology and consumer packaged goods organizations, working with clients from Disney and Royal Caribbean, to Oakley and LPL Financial. Stephanie often speaks to a range of businesses and marketing teams ast Fortune 500 companies about how to leverage digital to drive business, and how emerging technology is changing consumer behavior. She also speaks to students looking to start their careers and enter the workforce prepared. Stephanie has been named a leading digital marketer by iMedia, and was recognized as a leading performer within J. Walter Thompson and WPP, the world's largest communications groups. Prior to working at PwC and Mirum, Stephanie led public relations for CamelBak, Fresh Express and the e3 gaming conference at Double Forte PR and Marketing, where she launched the first influencer and social media programs. 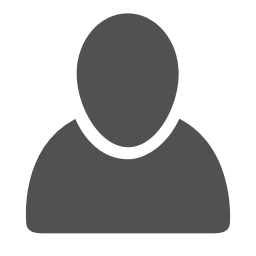 Duane is an independent Martech and Digital Marketing consultant in Portland, Oregon. He was Chief Marketing Technologist and Head of Digital at Xerox until January 2017, with roles ranging from Brand and Marketing Intelligence to acting CMO over 17 years. He has been a growth hacker throughout his career. 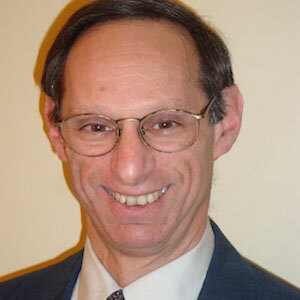 Prior to joining Xerox, he held executive roles at Apple and HP. Anand Thaker is a leader, builder and advisor in marketing technology and growth strategy. His 15-years of experience includes marketing, sales, CX, data, analytics, and intelligent systems/AI. To succeed in a diverse, dynamic, interconnected marketplace, modern leaders must leverage the right mix of data, intelligent solutions, and seasoned judgment. He founded IntelliPhi to advance human & digital go-to-market decision intelligence for growth-driven leaders. 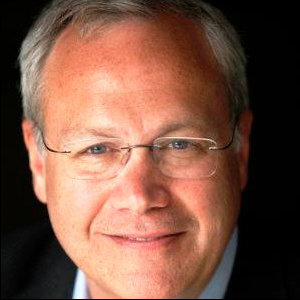 He is also the co-collaborator of the Martech 5000 Landscape with Scott Brinker. 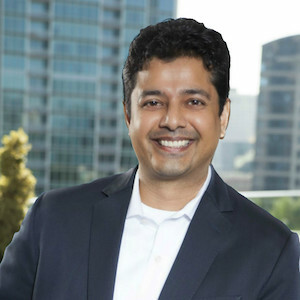 Anand’s experience building and growing high-growth product startups and consulting firms in marketing technology to enterprise firms such as Siemens, Silverpop/IBM, Microsoft, Blackstone, Capgemini, GTRI, Salesforce.com, Fidelity, NYSE, Southern Company and eBay. He also serves as a liaison and advisor to improve venture investors batting average, navigate startup founders, support enterprise executives, and provide leading trends and insights to industry analysts on marketing, sales and customer technologies. 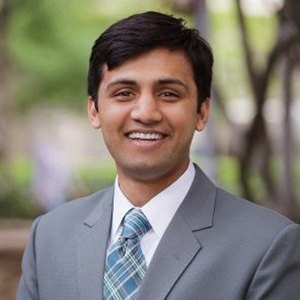 Anand also has a knack for identifying and cultivating rising sales and marketing leaders. He previously consulted and developed solutions in the highly data-driven energy and finance industries after graduating as a computer engineer from Georgia Tech. 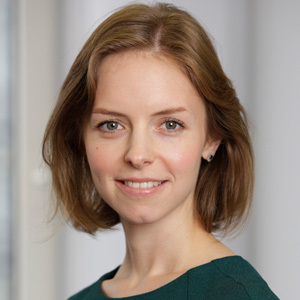 Henrietta runs product marketing for Watson Marketing, IBM's AI-Powered Marketing solutions including Watson Assistant for Marketing, Watson Campaign Automation, Tealeaf and Watson Customer Experience Analytics. In this role, she leads marketing, positioning and messaging strategies. She works with both internal and external stakeholders to identify market opportunity, develop and execute global marketing strategy and go-to-market to drive sales. Henrietta's been with IBM for 12 years, where she has also held positions in product management and software product development. Prior to joining IBM, Henrietta architected and developed software at FileNet, Symantec and Brio. She holds an MBA from the University of California, Los Angeles Anderson School of Management and a Masters in Computer Science from University of Southern California, Viterbi School of Engineering. Outside of her professional life, Henrietta can be found on pool deck where she and her husband supporting their two daughters who swim and play water polo at a junior national level. 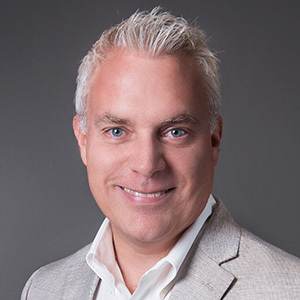 As Director of Solutions Marketing for Workfront, Brent Bird leads go-to-market research and content marketing strategy. He has worked with hundreds of global marketing teams and agencies to help them effectively manage their workload and control chaos. 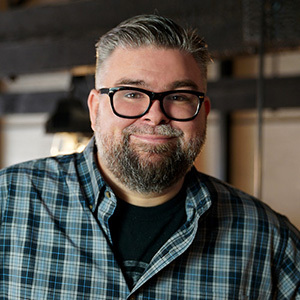 Brent has spent the majority of his career marketing enterprise software solutions, but he has also spent time in advertising, broadcasting, and copywriting. He is working to attend a game in every Major League baseball park to determine which hot dog wins. 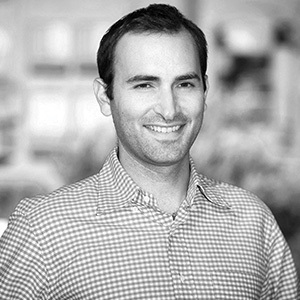 Noah Brier is Co-Founder and CTO of Percolate, and also serves on the company's Board of Directors. 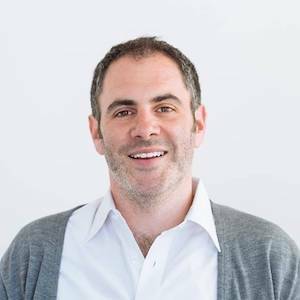 Prior to founding Percolate, Noah spent most of his career in the marketing industry as a strategist, creative director and copywriter. Passionate about bringing interesting people together, Noah co-founded likemind, a global coffee meetup that occurs every month in over 50 cities around the world. He is one of Fast Company's 100 Most Creative People in Business and he sits on the World Economic Forum's Global Agenda Council on social media. Noah is a graduate of New York University. 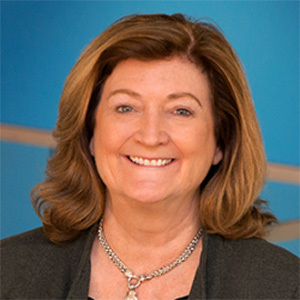 As Acquia's chief marketing officer, Lynne Capozzi oversees all global marketing functions including digital marketing, demand generation, operations, regional and field marketing, customer and partner marketing, events, vertical strategy, analyst relations, content and corporate communications. 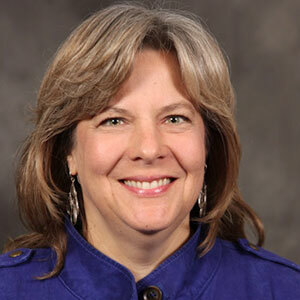 Lynne is one of Acquia's boomerang stories, first serving as Acquia CMO in 2009. 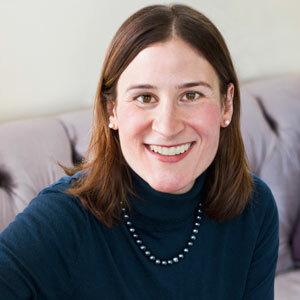 Lynne left Acquia in 2011 to pursue her nonprofit work full-time. She returned to Acquia in late 2016 to lead the marketing organization into its next stage of growth. Outside of her work at Acquia, Lynne is on the board of directors at the Boston Children's Hospital Trust and runs a nonprofit through the hospital. Vijay Chittoor is the CEO & Co-Founder of Blueshift, the leading Customer Data Activation Platform. He was previously the CEO & Co-Founder at Mertado (acquired by Groupon to become Groupon Goods), and part of the early team at the AI company Kosmix (acquired by Walmart to become WalmartLabs). Experienced Creative and Marketing Operations professional with a specialty in Digital Asset Management (DAM) and other technology supporting content creation and multichannel publishing. 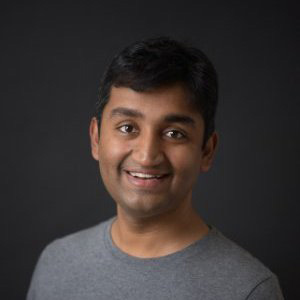 Jaymin Desai is a Certified Information Privacy Professional (CIPP/E , CIPM) and a Privacy Engineer at OneTrust - the largest and most widely used dedicated privacy management technology platform for compliance with global privacy laws. In this role, Desai oversees a global professional services team of privacy certified consultants focused on formulating efficient and effective responses to data protection requirements. His team advises many of the world's leading organizations on General Data Protection Regulation (GDPR), California Consumer Privacy Act (CCPA) and ePrivacy (Cookie Law) solution implementations with extensive experience building and scaling enterprise-level privacy programs. He holds a B.S. in Biomedical Engineering from the Georgia Institute of Technology. 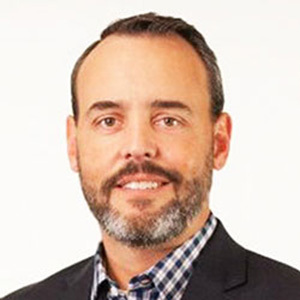 Eric DuVall has nearly two decades of Product, Marketing & Sales Technology leadership experience at AT&T, since joining in 1999. With technical leadership roles including Consumer Product Platforms, PrePaid Products, International Consumer Products, Marketing Information Systems, and B2C & B2B Database Marketing. Today Eric leads the AT&T Business MarTech (B2B Marketing Technology & Data) teams. Responsible for architecture, roadmaps, development, and operations of the ever-evolving AT&T B2B Advertising & Marketing Technology stacks. Prior to joining AT&T, Eric was a principal at several Consumer-focused Telecom services startups that were ultimately acquired by AT&T. A seasoned technology executive, Christina has more than 20 years of experience as a marketer and entrepreneur. Prior to joining Scaled Inference, Christina was the VP of Marketing for Brickstream, Sentient Networks, and held C level positions for multiple Silicon Valley companies assisting them through acquisition and public launch. She is on the advisory board for Helium, Funnelcake, Parle Innovation, and previously served on the board for Fatskunk and SolarNexus. 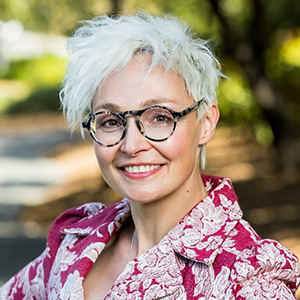 Christina enjoys speaking on technology marketing and contributes to entrepreneur support organizations including the TiE Silicon Valley, UCD Entrepreneurship and Innovation Lab; IPN Launchpad, Cleantech Open; Keiretsu Forum's Entrepreneur Academy; and Astia. 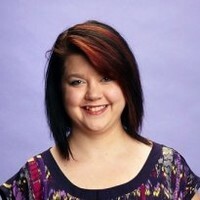 In her free time, Christina enjoys cooking, traveling, reading, and spending time with her family. 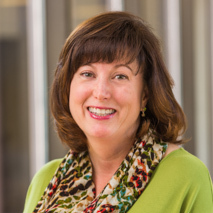 Sue Haddrill is a Director of Marketing in Nestle Purina PetCare's Personalization @ Scale Team in St. Louis, MO. Her current focus is on marketing tech and integrated consumer data and how they intersect to create business opportunity for Purina's brands. With over 20 years of B2C and B2B marketing experience and a background in engineering, she brings a unique perspective to the current transformation of CPG brand marketing. Sue's passions include continual learning and innovation, her kids, four dogs, handbells and an emerging interest in cycling. 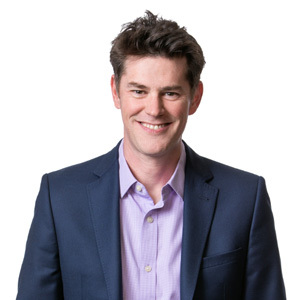 Ben Hartley is Head of Sales at Akkroo, the Event Lead Capture solution that lets exhibitors turn conversations into qualified leads and accelerated revenue, by connecting events with their MarTech stack. Akkroo is changing the way people think about events. For B2B sales and marketing teams, it's time to take the lead. 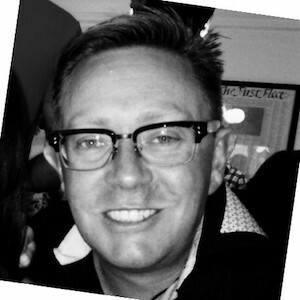 As Chief Marketing Officer, Joe Hyland is responsible for driving the global marketing, communication and brand strategy for ON24. He has over a decade of experience creating and marketing innovative products in the enterprise software and SaaS market. Before joining ON24, Joe was the CMO at Taulia, the SaaS market-leading financial supply chain company. He holds a bachelor's degree from Dartmouth College. Dave is Head of Data at Fracture, a rapidly-growing brand which is redefining the way people print and display their favorite digital images. 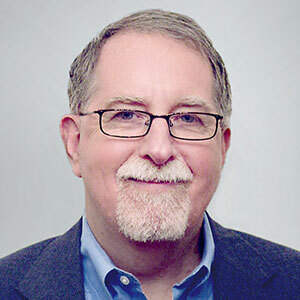 Dave is an experienced analyst, manager, and Six Sigma Black Belt who has run his own consulting business, built analytics programs from scratch, and reinvented processes for large enterprises. He takes a unique, proven approach to closing the gaps that exist between any organization's data and its customers, processes, and staff. Matthew leads Merkle's Enterprise Technology Group and has 20 years of IT experience with 16 years focused on marketing technologies. Merkle's Enterprise Technology Group is focused on marketing technology innovations that enable Merkle's clients to achieve Connected CRM. These innovations are focused around Connected Recognition, cross-channel event management, real-time interaction management, and delivering personalized optimized consumer experiences. He has helped clients evolve and improve their marketing efforts around multi-channel customer relationship management, and he has specific experience from traditional data warehousing to big data management and from analysis to channel execution. These efforts have included the integration of traditional channels to digital channels and media in order to support acquisition, retention, and loyalty. 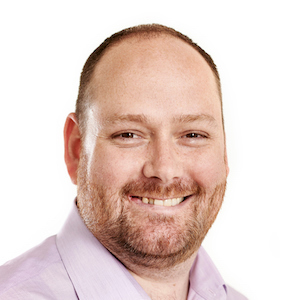 Prior to joining Merkle, Matthew was a senior executive with other leading marketing service providers. In those roles, he managed client marketing solutions, enterprise decision management, and marketing consulting practices. For one of those marketing service providers, Matthew established and led the European consulting practice that provided strategic marketing advisory services covering marketing strategy, advanced analytics, and marketing technology. He has provided these services across multiple industries: financial services, retail, telecommunications, travel, and entertainment. Matthew was a member of the United States Air Force. Chris leads all Marketing for Brandcast and has worked in high growth technology companies for over 12 years in San Francisco and Silicon Valley. Chris previously worked for Google, where he worked on marketing and communications for the consumer apps suite, and also ran Marketing for Sharethrough, where helped transform the company into a leader in native advertising technology. Brian is the General Manager for Magnolia Americas. In over 10 years at Magnolia, Brian has helped some of the largest brands in North America achieve their digital experience goals. He sees today's technology issues from both the tech and business sides, having held positions from systems administration to sales for companies with up to 50,000 employees. 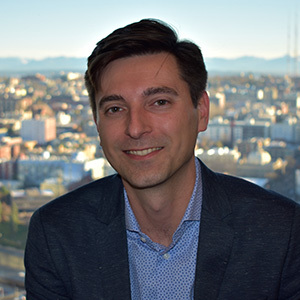 Alexei heads Marketing Technology at 14 West, the business services arm of The Agora, a network for more than 30 of the world's most innovative media companies. 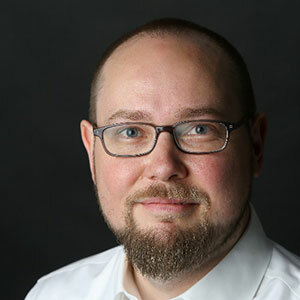 Alexei arrived at 14 West in August 2018 with a 20-year career in marketing technology. His team handles enterprise data, marketing data, marketing products, and the use of AI and smart decision making to get the biggest bang for the advertising buck.